I liked this video by Chris Ryan and it has helped me quite a bit recently, including shooting a 65 (-7 under) at Victoria Hills this past Saturday. 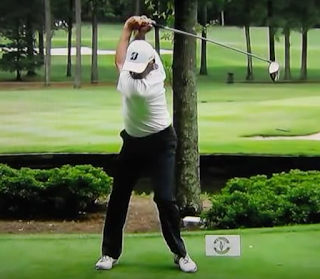 When most people discuss 'width' in the golf swing, they inevitably discuss it with regards to the backswing. It's not that I was consciously trying to make my downswing narrower. But, I wasn't aware of what was happening (right arm was folding and causing the right shoulder to go into Internal Rotation instead of the preferred External Rotation). Now I work on the left hip rotation, chest rotation while *feeling* like I'm straightening my right arm in transition...all before I get to P5. By the time I get to P5...between the rotation of the lower body and chest and the straightening of my right arm, the right shoulder will go into external rotation with the left wrist going into flexion. If I am able to do that by P5, I'm in good position to hit a nice shot. If I'm late then bad things can happen. The Tour is at Houston this week for the 72nd Houston Open. The Houston Open was sponsored by Shell since 1992, but ended its sponsorship last year. The Tour is currently seeking out a new sponsorship. The event is held at the Golf Club of Houston, formerly known as the Redstone Golf Club. GC of Houston was built in 2003 and designed by Rees Jones and David Toms. It follows a Rees Jones type of design…very long (7,422 yards), pretty wide open and one drive-able par-4 (#12). I did get some people putting Rees Jones as ‘the worst’ or ‘most overrated.’ Personally, I’m not a huge lover of Rees Jones designs, but I don’t think they are anywhere near the worst. They can be a little boring, but I would rather take a little boring than a bunch of gimmicky holes or the designer that designs a bunch of bad holes just so they can design 1 or 2 beautiful holes. Or the designer that creates a torture chamber or the designer has zero clue about how to create a nice ebb and flow to their design. The general consensus I’ve received on Tour is that GC of Houston is fairly well received. It does tend to favor the long hitters because it’s so open and there’s virtually no rough on the course. But a mid-range power player can win here as well. 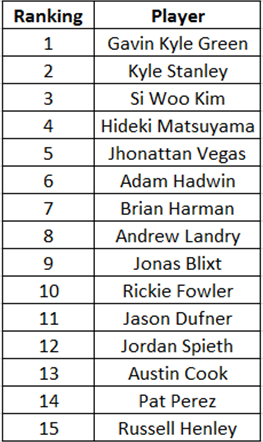 What I also like about GC of Houston is that it’s a great warmup for the Masters the following week as the courses have that similarities of being long, wide open and virtually no rough on the course. Also, the 18th is the final critical hole on the course and it provides for some excitement on Sunday. 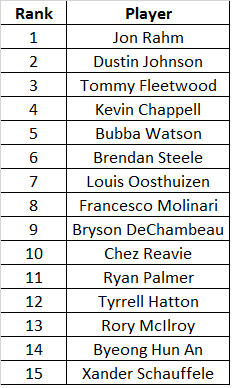 Here's the top-15 Green Zone (75-125 yards) performers on Tour. 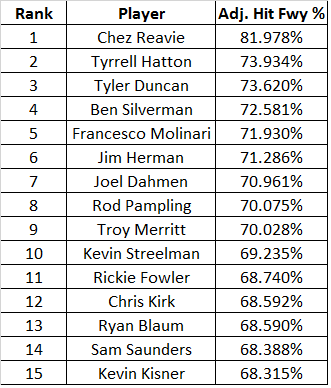 Green Zone has the lowest correlation to success on Tour, mainly due to a lack of frequency of shots per round as well as the lower deviation in performance. For example, by the end of the season the typical worst performer from the Green Zone is still hitting their shots to roughly 28 feet to the hole. That is still good enough to find a green and likely 2-putt (88% odds). And the best performer from the Green Zone will likely end up around 16-feet to the cup which has 78% chance of 2-putting. Green Zone success is important for shorter hitters who cannot reach par-5's in two as well as long hitters who struggle with precision off the tee (punching out to this distance to hope and save par). 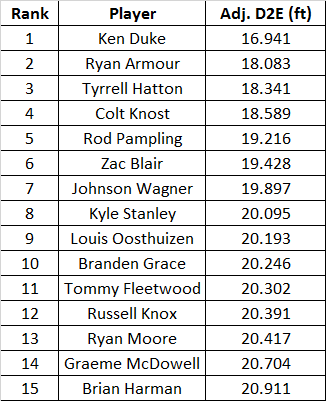 Here are the top-15 Yellow Zone (125-175 yards) performers. Yellow Zone performance often correlates to Birdie % as this is the range where golfers are more likely get inside 17-feet which provides a statistically significant higher make percentage. Essentially, good Yellow Zone performers start to gain an advantage as they will have more makeable birdie putts than lesser Yellow Zone performers. Yellow Zone performance also ties into driving accuracy. Players that can find the fairway on Yellow Zone shots can have a distinct advantage over those that find the rough. 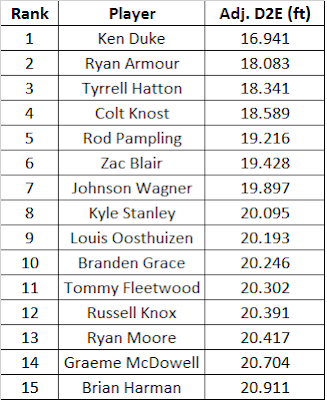 Here are the top-15 players from the Red Zone (175-225 yards) as of 3.18.17. 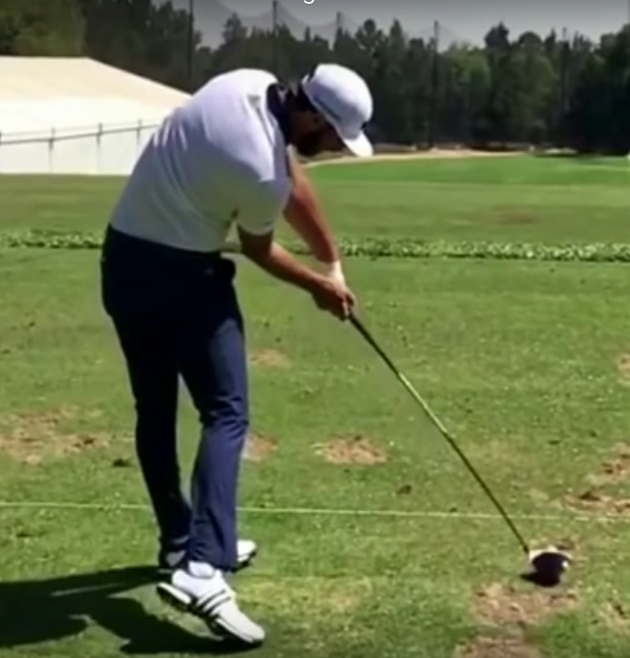 This could play a great influence at The Masters given how many shots, particularly critical ones, come from the Red Zone at Augusta National. 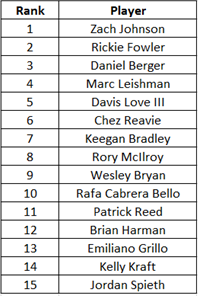 This is also likely to show up later on in the season for players that are not gaining a lot of FedEx Cup points. History has shown that these players start to eventually pick up points...particularly in the summer months. 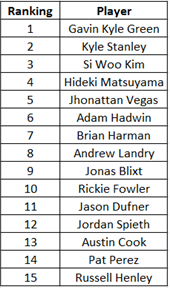 The easiest course to play from the Red Zone thus far has been Palm Springs (37.8 ft prox 2 cup average). The most difficult thus far has been at Waialae (45.5 ft prox 2 cup average). 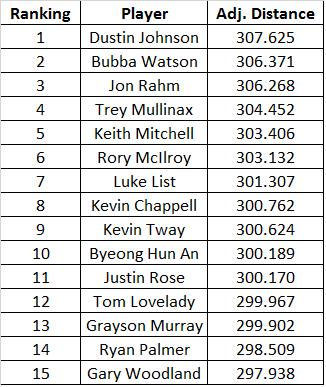 Below is the top-15 players in Adjusted Average Distance to the Edge of the Fairway. 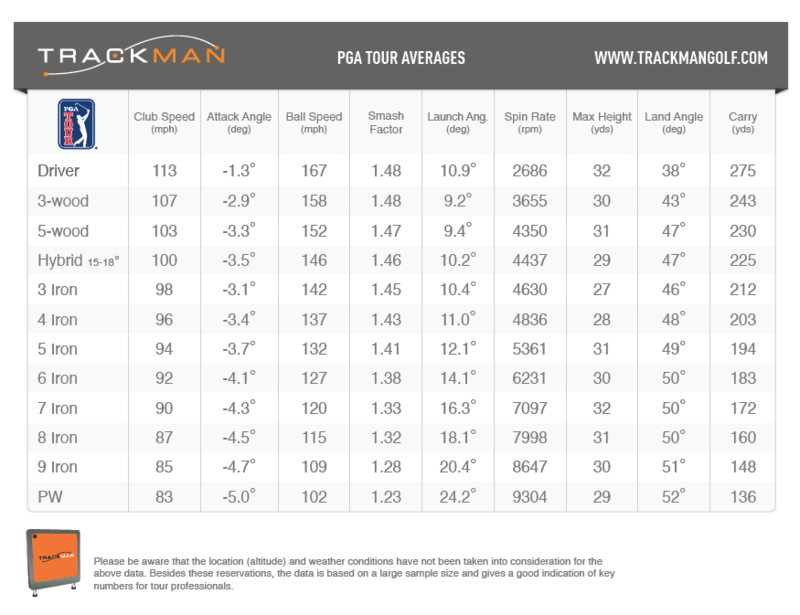 This measurement is based on when a player MISSES the fairway and how close to the edge of the fairway they are. This is an important metric due to the likelihood that the further the player is from the fairway the more difficult the lie in the rough tends to be. Some courses like Houston this is not much of a factor. Other courses such as Harbour Town this is not much of a factor since the course is so tight due to the trees and hazards that the Missed Fairway - Other % becomes a bigger factor in driving effectiveness. This also can change depending on the size of the course's fairways. Narrower fairways tend to yield larger Distance to the Edge of the Fairway than wider fairways. For longer golfers, Distance to the Edge of the Fairway is more important since they are likely to miss more fairways due to smaller margins for error. For shorter hitters, it's more important to actually find the fairway a higher percentage of the time. They simply cannot afford to miss too many fairways given their lack of distance off the tee. A month ago I got a woods fitting from TrueSpec Golf (http://3jack.blogspot.com/2018/02/true-spec-golf-woods-fitting-and-review.html). The fitting recommended me a Callaway Rogue Sub Zero driver and 13* 3-wood. It reduced my spin rate from 2,800 rpm to 2,000 rpm and improved my carry distance by roughly 10 yards. For those not familiar with TrueSpec Golf, it is a 'brand agnostic' fitting where they carry heads, shafts, grips, etc. from all sorts of OEM's. They are not a single licensed dealer of a OEM like Ping where getting a fitting from a Ping dealer would consist of finding the best Ping products. Instead, the idea is to fit the golfer for the best possible product. If it happens to be a Ping G400 driver with a Mitsubishi shaft and a Titleist 3-wood with a Fujikura shaft...so be it. 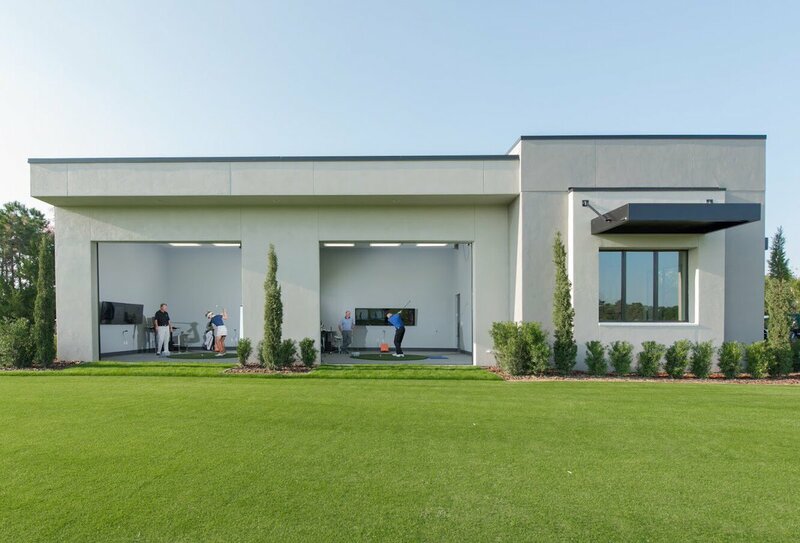 What I prefer about TrueSpec Golf is that it's an outdoor fitting with a fantastic facility. And in this case, they are at Lake Nona, arguably the premier golf course in Orlando. I was looking for new irons because I was looking to lower the spin rate a little bit and hopefully gain some distance. Typically, the Center of Gravity on blades is higher up on the face which makes the ball launch lower and spin more. 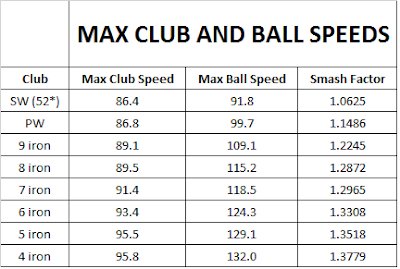 High club speed players tend to prefer the blade because of the lower launch angles. For me, I launch the ball about 4-5 degrees higher than the Tour average with the irons. Therefore, I estimate I need to have a spin rate of 1,000 to 1,300 rpm less than the Tour average. If I don't, I feel that it makes for some real problems hitting approach shots into the wind. The other thing I was interested in was graphite shafts. I have had shoulder and elbow issues the past 2 years and I think a slightly lighter and better vibration dampening shaft could take the toll off my shoulder and elbow. Furthermore, there have been great advancements in graphite iron shafts from even 10 years ago. Graphite iron shafts are now heavier, more stable and can be changed to provide a variety of launch conditions depending on the player's needs. After some initial warm-up, we decided that I would hit my own 6-iron to draw a baseline performance. Unlike the woods fitting, the iron fitting was on a mat. They have you hit inside their bay to the outdoors. 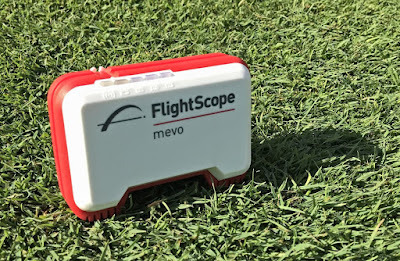 I was hitting outdoors on a mat with my Mevo as well. 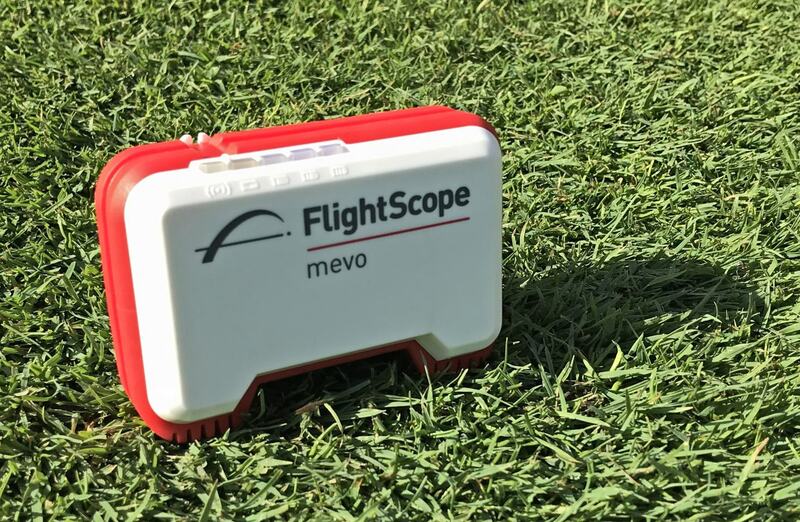 Thus, my FlightScope Mevo numbers were very close to what Trackman was reading. Right away we noticed the difference with the P790 and the Accra shaft. There is a lot of talk with golfers about lofts being 'jacked' up and it providing false distance gains because the golfer is deemed to be hitting...for example...a 6-iron instead of the 7-iron that is stamped on the club head. So, all I did was change the Spin Rate by 1,500 rpm and the ball carried 6 yards further. After the P790 and Accra combo we tried the Mitsubishi shaft that produced similar ball speeds (130-ish), but flew too high. We were trying to keep the landing angle between 48-50 degrees. More than 50 degrees would start to get into 'ballooning' range into a wind. Less than 48 degrees and with the lower spin rate I may have trouble getting shots to hold the green. I cannot remember which Recoil shaft was which, but one produced a landing angle that was a smidge too high and the other produced a landing angle that was a smidge too low. 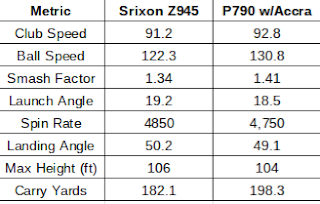 We then moved to the Srixon Z565 and that produced 128.5 mph ball speed and with the Accra shaft flew a little too high. This was the first time hitting a PXG iron. 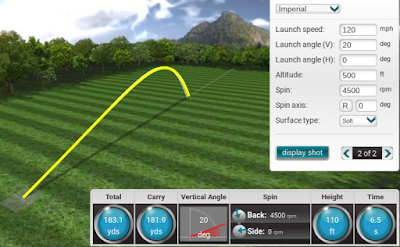 The 0311T was getting about 129 mph ball speed, but was flying too high as the Spin Rate got up to 5,300 rpm. 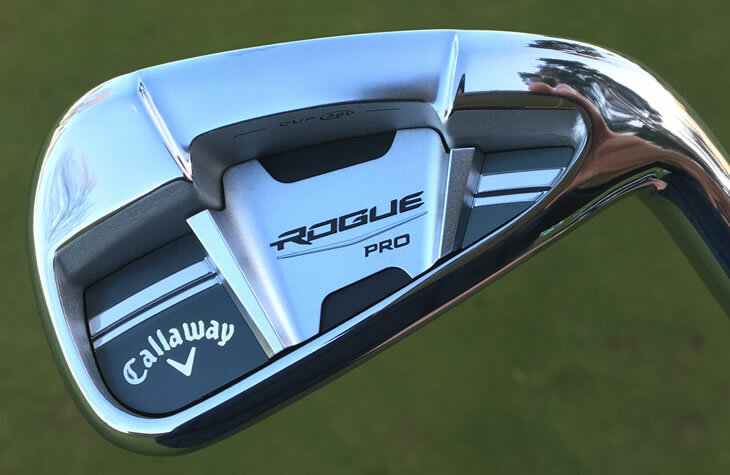 Then I went to the Callaway Rogue Pro and that produced the most similar numbers to the P790, but too many shots would fly too high. Accra Tour 100i shaft (x-stiff) +1/2"
I hit a few more shots with the P790 and the Accra shaft to confirm. There has been a couple of swing mechanics I was working on and my final shot of the day I focused on them and I got up to 133.4 mph ball speed with the 6-iron. TrueSpec Golf also measured the loft on my P-Wedge and my 52* wedge as I had yardage gapping issues with those clubs. They have a digital lie/loft machine and the P-Wedge came out to 46.25* loft. Then Miura K-Grind loft was right at 52 degrees. The 9-iron was at 41 degrees, so perhaps some of the distance gapping issue with the P-Wedge is that the loft needs to be at 45 degrees. If not, then it may be time to look at the possibility that MOI matching may add too much weight to the head on the wedges. Overall, the fitting only took 45 minutes. I was swinging quite well and only missed a handful of shots. It also helped that the fitter was able to guestimate the right combo for me on his first try. The P790 pricing is fair as that is what you will find in retail shops and most online retailers. The Accra shafts go for anywhere from $205-$525 for a set of 8 shafts. Assuming that the distance gains will remain the same when I get the irons here is the projected change in how I would play a 450 yard par-4 prior to coming to TrueSpec. Why do I like Bay Hill so much? Obviously, it being Arnie's tournament is a big reason. But, it's also the most spectator friendly event on Tour. The parking is the best, it's one of the easiest courses on Tour to walk as a spectator. There are bleachers and upper deck seating right on the driving range. And during the event it's quite a party atmosphere with the surrounding houses celebrating the event with viewing parties throughout the course. It's also a very good design. I've always felt that Arnold Palmer is the most underrated course designer. I think because he doesn't quite have the history and mystique of Tillinghast, Ross or MacKenzie and doesn't have the vast array of Tour designs like Dye, Fazio and Jones that Mr. Palmer usually gets overlooked. But, he was one of the more clever designers out there that was good at keeping his designs fair. Hit bad shots and you're punished. Hit good shots and you're rewarded. Some holes are not what they seem and he really wanted you to keep the ball below the cup. A few of my favorite holes at Bay Hill are the par-5 4th hole. It goes uphill, but is still reachable in two on occasion. It's easy to miss right which has a better angle into the hole, but there is water on the right that comes into play. Left provides a worse angle, but the bunkers can also come to play. The green is elevated and makes approach shots for those that lay-up more difficult. But a good drive and 2nd shot can really swing the door wide open for competitors. The fairway is settled down a bit and the green is more elevated. You will see a lot of players lay-up off the tee here, but the closer they can get to that fairway bunker on the left without going in, the better off they generally are. It may only put the golfer 30 yards closer, but the approach shot is more difficult than your average 180 yard approach shot and that is what many golfers don't account for. Then there's the par-4 13th hole. This is a hole where almost the entire field will lay up. The reasoning is that if they lay-up they will only have about 135-155 yards into the hole and that is 'no big deal.' But what is not accounted for is that this is a more difficult 145-ish yard approach shot than your normal approach shot from 145 yards. That and a lay-up shot puts the fairway bunkers into play. Obviously, some players are too long to hit driver with the water coming into play. 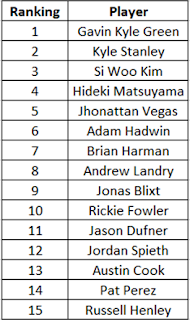 But for the others...the players that hit driver tend to play #13 far better than the rest of the field. The video doesn't do the hole justice of how daunting and beautiful the hole is. The bunker off the water is a unique and gorgeous touch as well. This is a very difficult approach shot. But, Mr. Palmer countered it perfectly by making it a very flat green that has a very high make percentage for putts. In other words, it's difficult but fair. And it's breathtaking and exciting due to the possiblity of ending up in the water off the tee and the putts that can fall either leading to a key birdie or double bogey down the stretch. And the 18th hole is the last 'Critical Hole' on the course and between 16, 17 and 18 you have a terrific stretch of finishing holes. If there's a problem with the event it's that the tickets are not cheap. A practice round ticket costs $55. You can go to a practice round for The PLAYERS Championship for $15. And the field is usually only 'okay.' 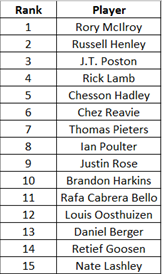 Hopefully with The PLAYERS Championship moving to March next year...that will entice more of the world's top talent to add Bay Hill to their schedule. As I have preached since the first edition of Pro Golf Synopsis, driver fitting is a must for any golfer that is serious about improving their handicap regardless of their level of play. My research has found that as the handicap increases, the more important driving becomes with regards to improving your handicap by the greatest margin and permanently improving your scores. The latest research showed that the average Tour player's driver was 44-3/4" long compared to the OEM drivers which are almost always at least 45" long and more closer to 46" long. But the same goes for the tip stiffness of the golf shaft. And it's impossible to make substantial, long term improvements when you have a shaft that is too long and too tip soft for your swing. For golfers where money is a little tighter they may not need that iron fitting, particularly if they are using steel shafts. But because driving is so important to amateurs, they really need to be fitted for a driver and in the end, a properly fitted driver will save them money and help them improve their mechanics much more quickly. The tournament was founded in 2000 as the Tampa Bay Championship. They have played the tournament at the Copperhead Course at the Innisbrook resort. The course was designed by Larry Packard back in 1974. The course is very well received by the players although it can get a little soft to the point mud can get on the golf ball. The big thing to watch for is the par-5’s as no course emphasizes the par-5’s on Tour like Innisbrook. For the par-4’s, it’s mostly about mid length approach shots. 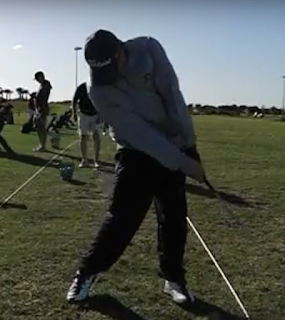 What I like about the videos is that they address key components of the transition phase which I believe is the most important part of the golf swing. I feel the transition really dictates the downswing mechanics as a whole and in particular what your impact conditions are going to look like. I believe that a reason why golf is so difficult is because of the transition motion is difficult to master and that is due to the sudden change of direction and speed that is occurring at. If I put in enough range practice, I could 'master' any backswing change I wanted to make. 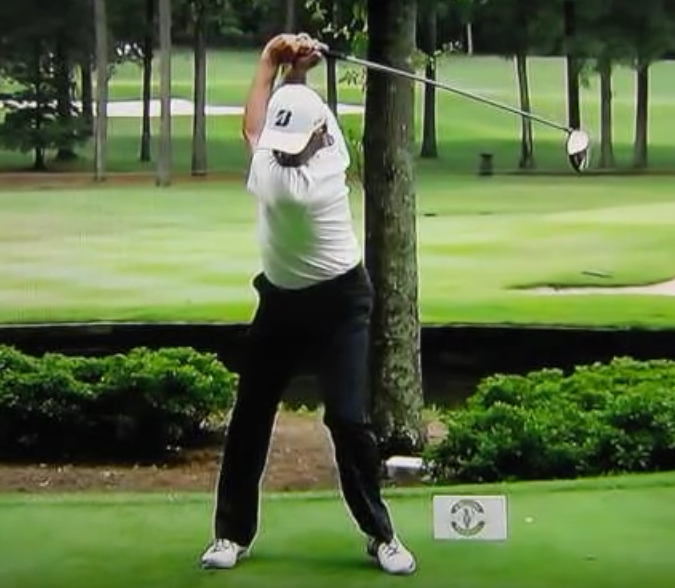 The speed of the backswing is slower and speed plays a large role in how quickly you can learn new movement patterns. Not only is the downswing faster, but it mostly starts with the transition move and that area has speed and a change of direction and that's why golfers struggle and good golfers can struggle to make changes to their downswing. Victor uses what is called a 'fish hook' CoP trace. This is quite common for the super long golfers like Victor where their Center of Pressure trace goes towards their lead foot in transition and then as they continue to rotate the body into impact, the CoP traces back towards the middle of his stance. The second video destroys the idea of 'wide to narrow to wide.' This is something I never quite understood as when I worked with M.O.R.A.D. one of the things that was preached was to straighten the right arm out in the downswing and not pull the hands into the body. 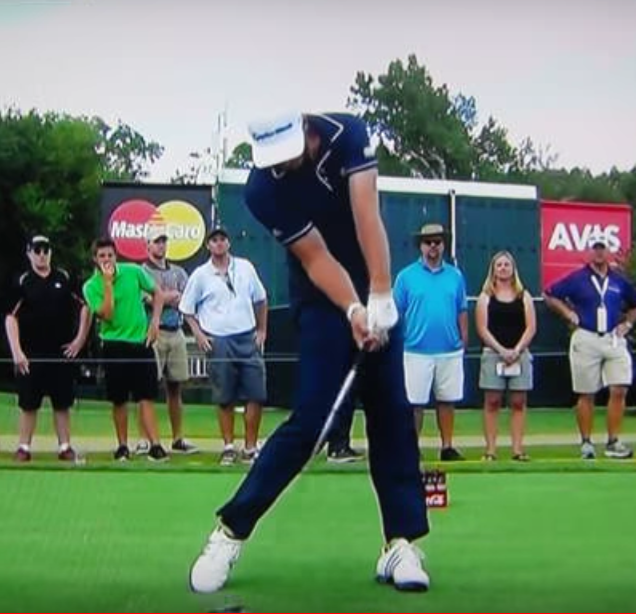 You could clearly see the best ballstrikers doing that, but you couldn't understand why their hand path got narrower. The only thing about the 2nd video that needs to be re-emphasized is that there is a blended motion the shoulders make in the downswing. One is that they will tilt. This comes from the arms pulling down. If you're at P4, the rear shoulder will be higher than the lead shoulder. As the arms pull down, the shoulders will tilt to the point where the rear shoulder is lower than the lead shoulder. 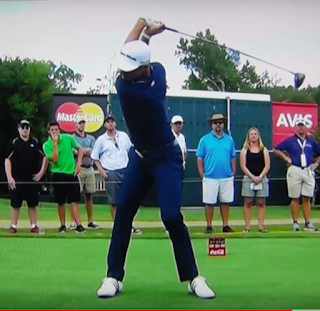 The other motion that good ballstrikers make with the shoulders is they rotate them (thru the rotation of their upper torso). See how Dustin Johnson's shoulders are open at impact, below. The reason why many teachers like George Gankas are now preaching to 'leave your hands up' and 'don't pull down' is because the vast majority of golfers always get the shoulder tilting motion and do not get enough of the shoulder/chest rotation motion. There is little in the way of blending the shoulder tilt and the shoulder rotation and it's mostly all tilt and little rotation. So these instructors work on exaggerating the rotation and trying to FEEL like the golfer is not pulling down the arms in order to not tilt the shoulders too quickly. I tend to look at it like a race. My arms are going to pull down and tilt the shoulders eventually. My goal is to FEEL like my shoulder/chest rotation is beating my shoulder tilt. In reality, when I'm swinging well it's almost like a synchronized blend of both motions. 1. They were recorded when the wind was blowing about 25 mph and it was difficult to feel the swing. 2. I've had issues with shoulder and neck pain the past 2 weeks. 3. There was some new things I was working on that are different from these swings. But for the purpose of this journal post, I wanted to go back to how I was swinging before I started to experiment with some new mechanics and I was a little rusty. I hope to go into some of the new things I was working on later this week on the blog. An active stretch (eccentric contraction) of a muscle followed by an immediate shortening (concentric contraction) of that same muscle. A simpler way to think of it is when you 'torque' a muscle one way in the backswing, it will 'un-torque' in the opposite direction. 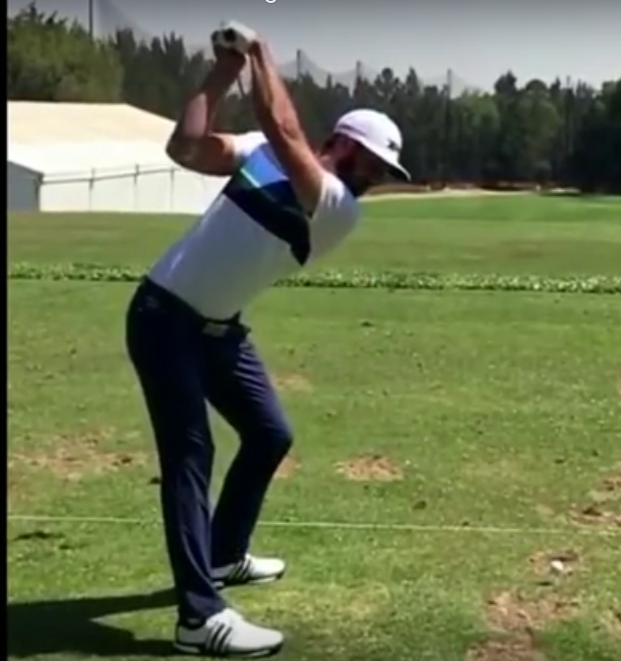 So, if we want External Rotation of the right shoulder in the downswing a good method of doing it is to internally rotate the right shoulder on the backswing. As George Gankas has explained, you can have this 'look' and have the right shoulder internally rotated as there is some rotation/roll of the forearms that go with it. The reason why I changed is that when that picture was taken I was having issues getting the forearm rotation/roll right and for me...it was a maintenance issue. There's less maintenance for me. Mainly because if I over-do it I can still recover. 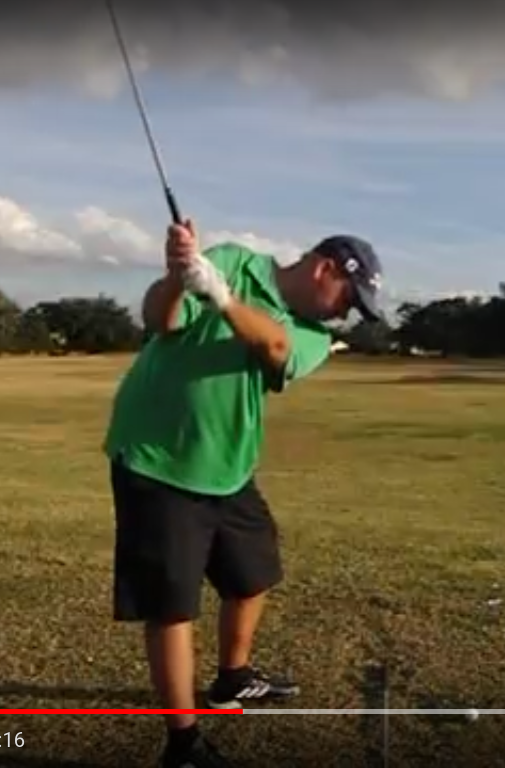 With the December swing (green shirt), it's too much about getting the forearm rotation just right. 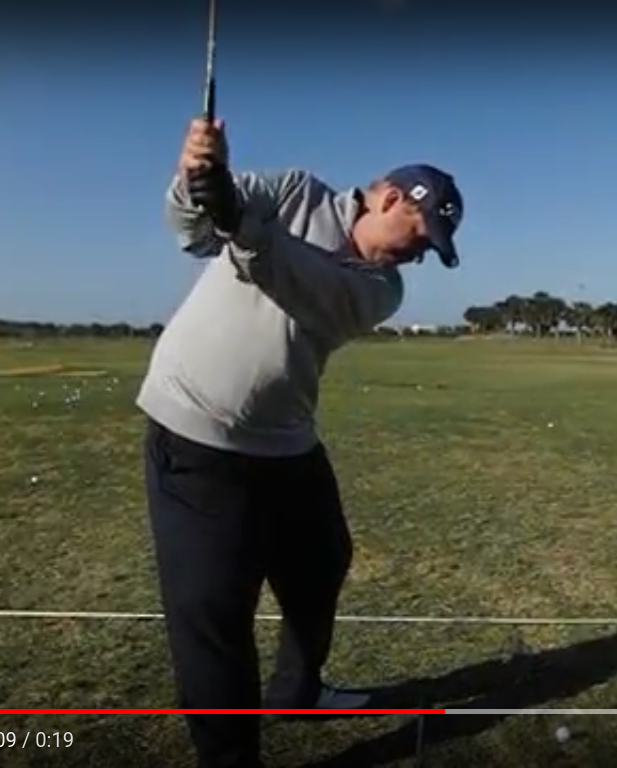 The only issue with the more across the line move is that you really cannot have a short backswing with it because you need to have time to allow the Stretch Shortening Cycle to go into action. As you can see, neither Moore nor Couples have short golf swings. So while it doesn't look pretty, it works better for me because I don't have the time or talent to work on it. And a lengthy backswing isn't an issue for me. 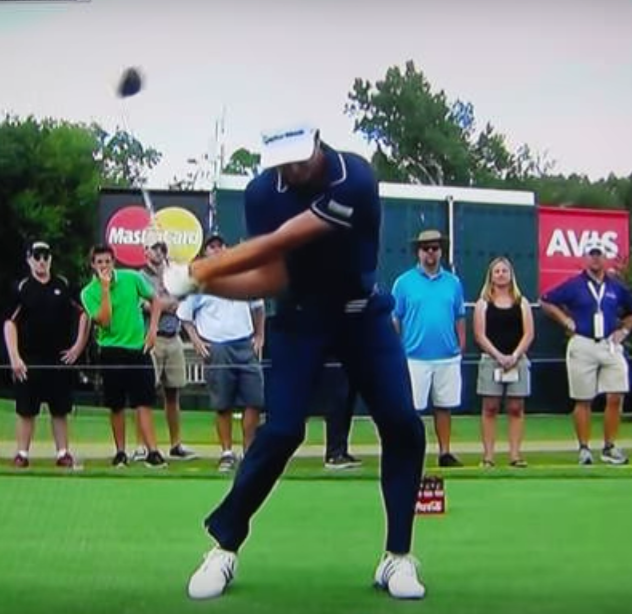 Struck Poorly and Offline = Left arm pulled down too much, too soon in the downswing. But there's a good amount of a 'roll release' and thus consistency is not quite there. The stuff I have been experimenting with success is how the quads and femurs move in transition. I really believe that if I don't pull down the arms too soon and rotate the chest, I'm likely to hit a pretty good shot. The issue for me is the lower body movements that prevent the chest from rotating or stall the torso rotation and then the arms eventually pull down rapidly to get the club head on the ball. I will go into that in a post later on this week.